The edgeless lay- at design is made from high absorbency South Korean micro ber yarn. Woven in a ridged waffle pattern and coated with our proprietary non-slip treatment, this microfiber yoga mat provides a superior grip to stay in place on the mat and to keep you from slipping during postures. Fast drying, odor-resistant and lightweight, this hot yoga mat towel is easy to carry with you - to and from the studio. Both sides of the hot yoga mat towel are coated with our proprietary coating and ridged waffle pattern that keeps the towel from bunching on the mat, and keeps you connected to the ground through all of your postures. The competition feature rough silicone coatings or small round nubs on only one side; YOGAZORB features a soft non-slip coating on both sides of the mat. 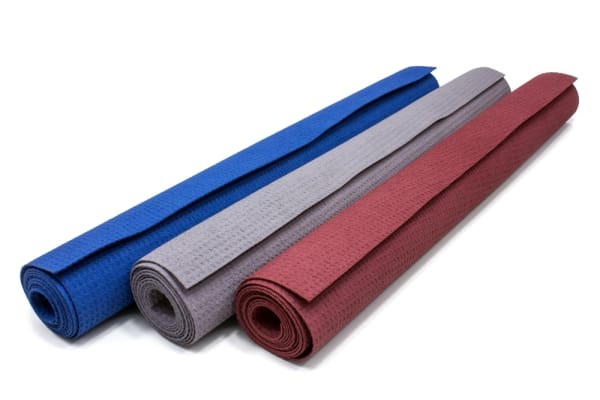 The 72" length is designed to fully cover the standard 68" microfiber yoga mat from top to bottom. The edgeless "lay flat" design doesn't have stitched edges which shrink and curl over repeated use, and washing. The high quality microfiber material is extremely absorbent, and the grip increases as it soaks up your sweat. Perfect for bikram or any type of hot yoga where you have sweat dripping on your mat. The fast drying microfiber hot yoga mat towel is lightweight and easy to carry.